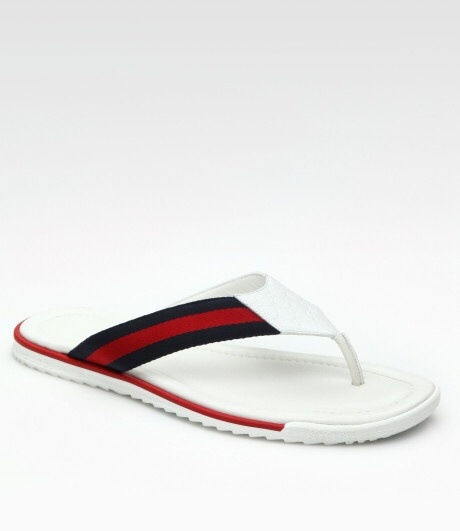 Glowy: Kcee in Gucci White Leather Thong Sandal for Men. 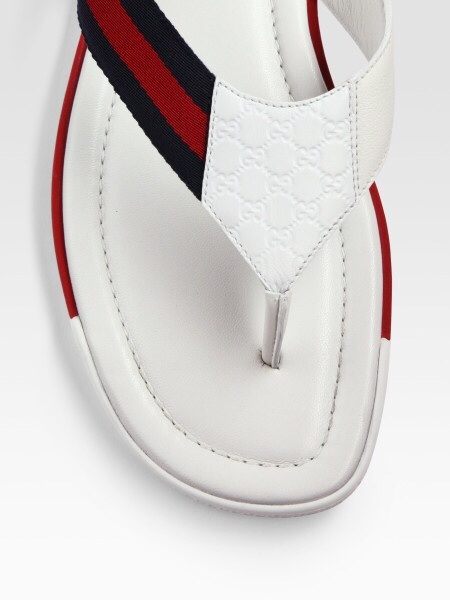 Kcee in Gucci White Leather Thong Sandal for Men. Kcee Who is on tour shared this photo of him at a bar in Oslo Airport, Gardermoen Norway today. 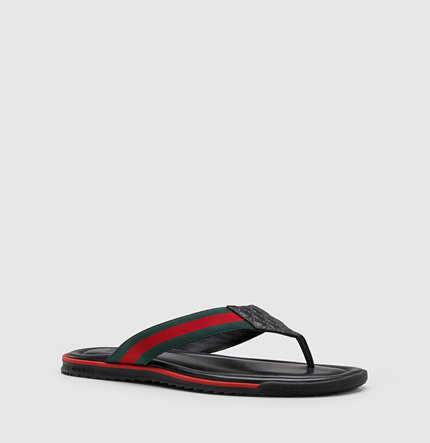 He wore a black long sleeved t-shrt on a black jean trousers and finished up with a Gucci White Leather Thong Sandal for Men. 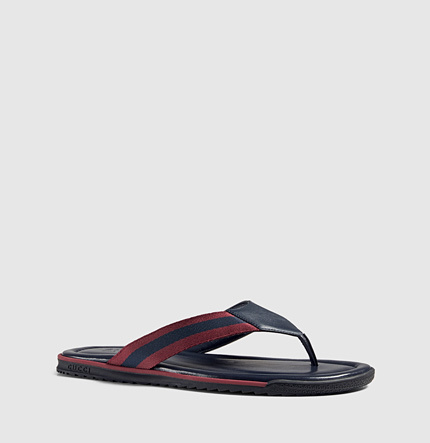 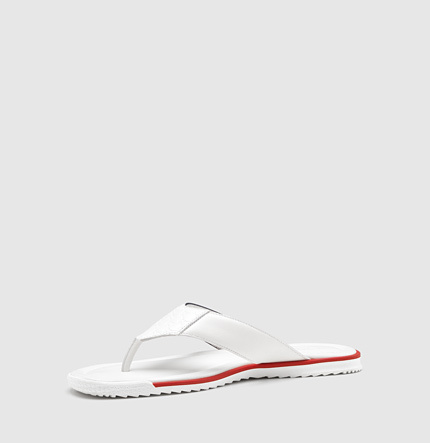 This sandals features a white leather with blue/red/blue signature web and white leather,red sripe at sole and a rubber zigzagged sole. 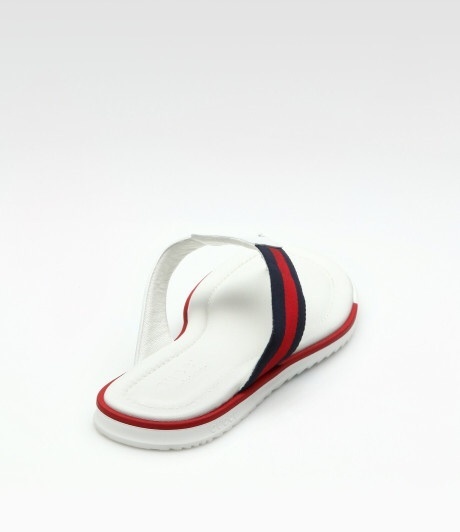 He also accessorzed with a Gucci belt and a Louis Vuitton travelling suitcase. 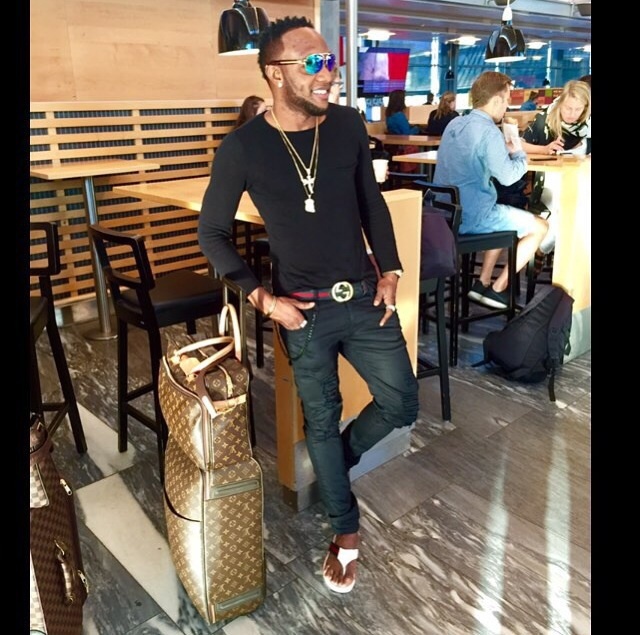 Kcee has stepped up his game..